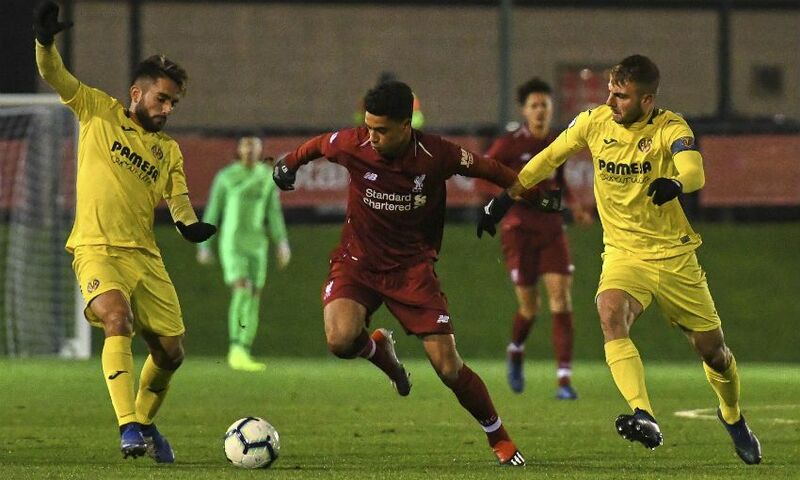 A much-changed Liverpool U23s side were defeated 7-0 by Villarreal in their Premier League International Cup opener. Neil Critchley was unable to select a number of regulars for Wednesday’s game at the Academy, with the likes of captain Matty Virtue, Bobby Adekanye and Nat Phillips ruled out due to injury and Rafael Camacho absent after representing Portugal U19s 24 hours earlier. With Adam Lewis and Neco Williams also only deemed ready for the bench after their own international exertions, Critchley made eight alterations to his starting line-up and handed full U23 debuts to Ki-Jana Hoever, Rhys Williams and Luis Longstaff. The manager had warned pre-match that his team would face a tough test against an experienced Villarreal side. And those words certainly rang true as the slick, savvy visitors surged into a three-goal lead inside the opening 15 minutes when Mario Gonzalez’s double sandwiched Sergio Lozano’s deflected shot from distance. Nikola Vujnovic’s penalty made it 4-0 midway through the first half, but Liverpool regrouped and navigated their way to the break without sustaining further damage. However, substitute Adrian Riera curled home early in the second period and the sixth goal arrived shortly after the hour with a Vujnovic piledriver. Villarreal's Mukwelle Akale then completed the scoring in stoppage time, just moments after Liverpool substitute Abdi Sharif had hit the post. The young Reds’ second group fixture in the PL International Cup, versus Hertha BSC, is scheduled to take place next month. Villarreal asserted their authority from the first whistle and took the lead in the fourth minute, when Gonzalez rounded off a flowing move with a tidy finish. Luck conspired against the hosts just a couple of minutes later as Lozano’s long-range attempt struck Liam Coyle and looped over Shamal George to double the away side’s advantage. And with Liverpool reeling, their ruthless guests quickly added their third and fourth goals. First, a mix-up between Rhys Williams and Juanma underneath a long ball allowed Gonzalez to pounce and slot past George, before Vujnovic sent the goalkeeper the wrong way from the spot after Longstaff had hauled Daniel Villanueva down in the area. Critchley's side could have pulled one back just before the interval. An incisive vertical pass by Hoever set Glen McAuley free, but the striker’s attempted dink was gathered comfortably by Diego Lazaro. Quality finishes from Riera and Vujnovic followed in the second half as Villarreal continued to showcase their class and, after Sharif had struck the woodwork, Akale netted another in injury time. 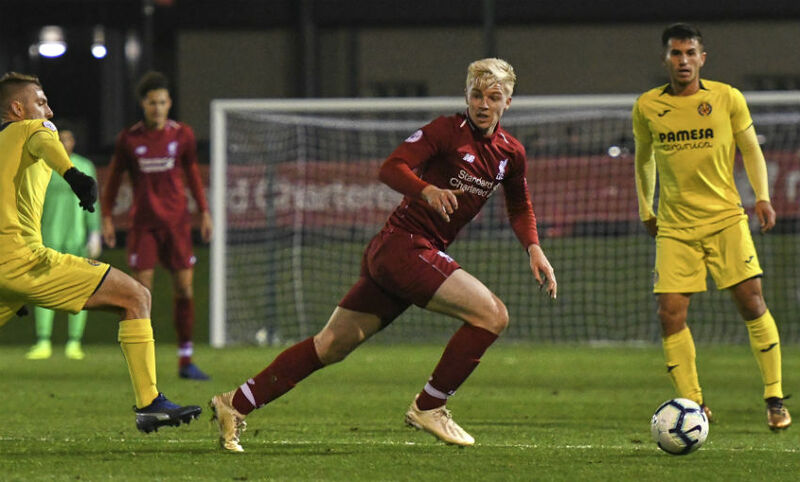 Liverpool U23s: George, Hoever, Masterson, R Williams, Juanma (N Williams), Coyle (Sharif), Dixon-Bonner, Longstaff, Larouci, Millar, McAuley (Duncan).